Try these 6 tips and recipes to continue consuming fruit all winter long. Now that the cold has arrived, many runners don’t want to drink their morning smoothies–and for good reason. But without that berry- and banana-filled drink, your diet may be lacking fruit. There’s no need to skimp on the immune-boosting produce this winter because we have six unique ways to make sure you get enough of the good stuff in your diet. Plus, they all taste just as good as they look! Photo and recipe by Nutrition To Fit. Even though this has “butter” in the title, there is no butter (or dairy) involved. This particular recipe doesn’t even have any sugar! Instead, it’s just a mixture of sweet apples, dates, coconut milk and spices, simmered for a few hours in a slow cooker and then blended. 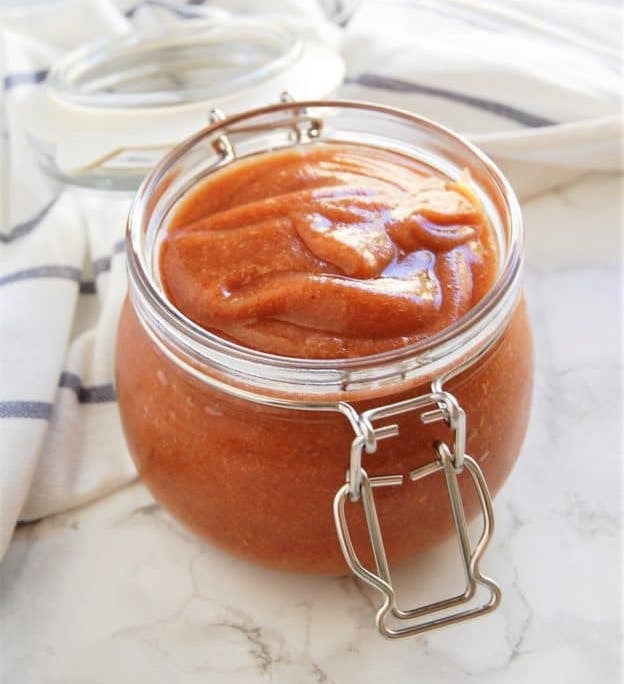 The end result tastes like a salted caramel apple and can be slathered on toast, drizzled on your morning oatmeal or even eaten with a spoon. 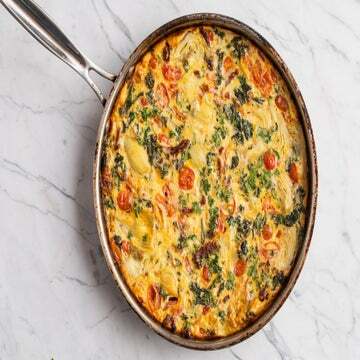 Photo and recipe by Lively Table. Fruit makes an excellent addition to spicy salsa. The sweetness balances out the spice and creates a nice overall flavor profile. 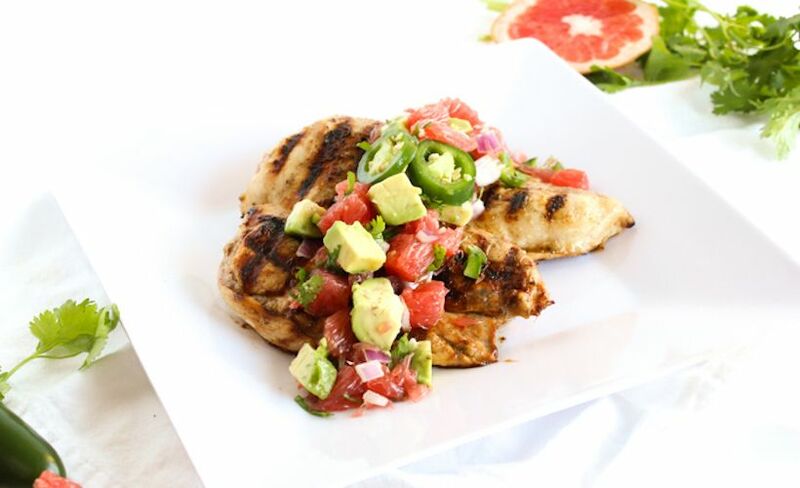 This recipe combines juicy grapefruit with jalapeno and avocado for a unique salsa that you can use on anything. It really doesn’t get any simpler than that. Once you put fruit in salsa, you’ll never want to go back to the traditional kind. 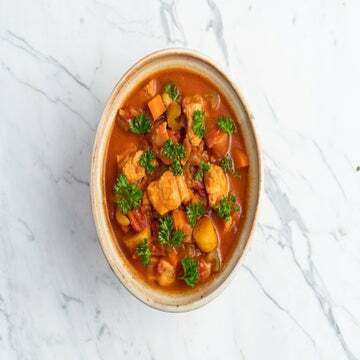 Photo and recipe by Nutrition à la Natalie. If you haven’t tried adding fruit to a salad yet, you need to stop everything right now and go try it. We’ll wait. In all seriousness, salad gets a bad rap because it can be quite boring and the flavors tend to be one note. 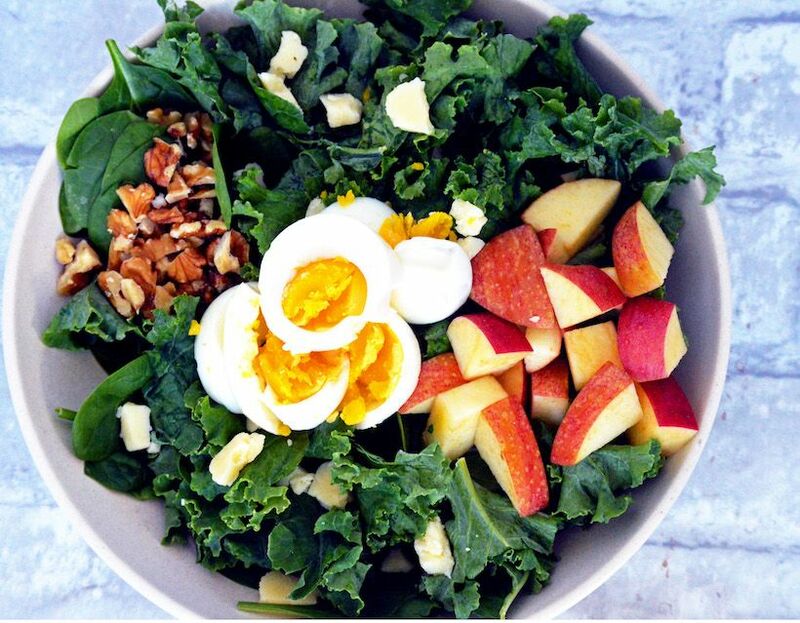 But the perfect winter salad can include the addition of apples, pears and citrus, which pair perfectly with nut and cheese toppings. The possibilities are endless, but check out this recipe first to get you started. Guess what? Avocado is a fruit. Rejoice! 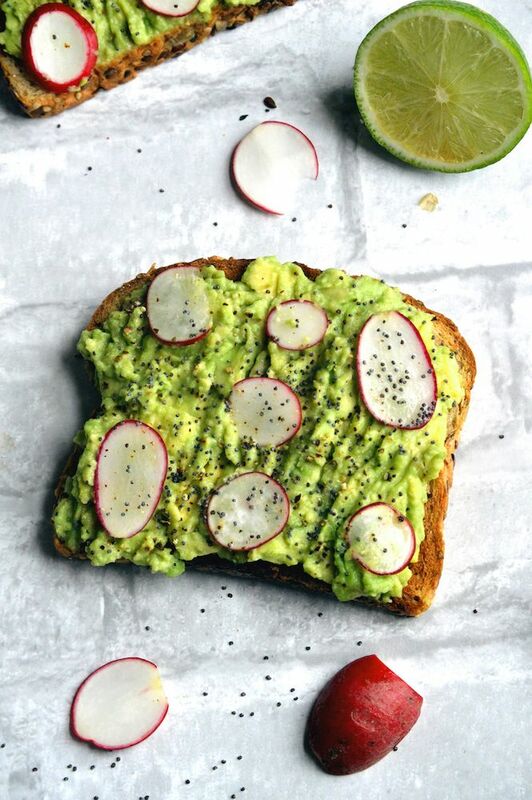 If you haven’t tried avocado toast yet, you don’t know what you’re missing. The combination is almost as good as PB&J, and it satisfies your hankering for fruit. Avocados are virtually the only fruit with monounsaturated and polyunsaturated fat, otherwise known as the “good fats.” Plus, one-third of a medium avocado has nearly 20 vitamins and minerals, and the healthy fat in avocados helps the body absorb fat-soluble nutrients, like vitamins A, D, E and K.
Photo and recipe by BazaarLazarr. One of my favorite pre-run sandwiches is apple and cheddar on toast. The sweet crispiness of the apple goes so well with the savory creaminess of the cheese. 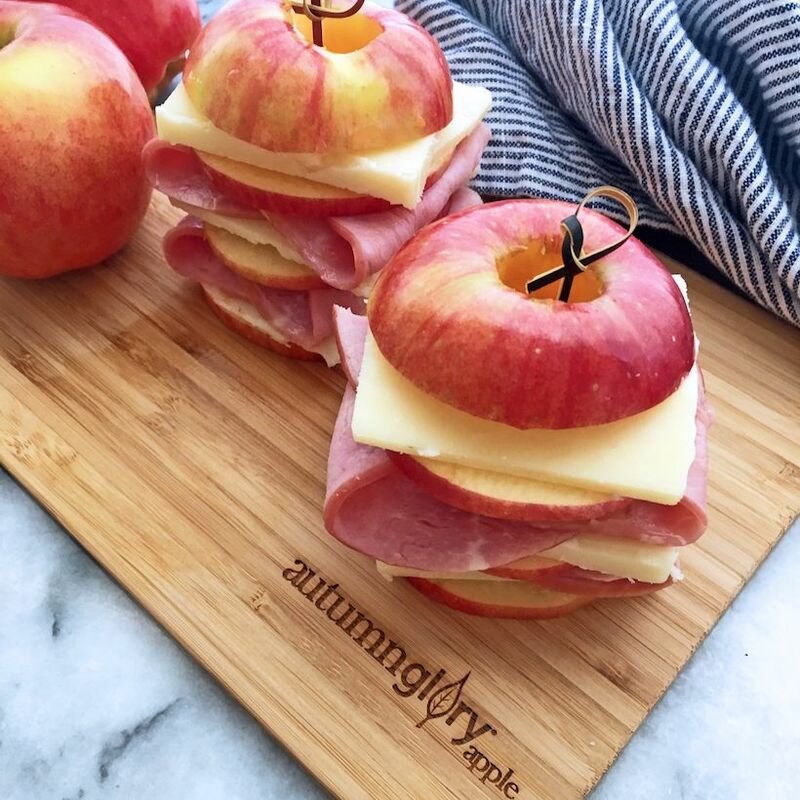 I like to pair Autumn Glory Apples (which strike the perfect balance of sweetness with hints of cinnamon and caramel) with sharp cheddar cheese. The combination of sweet and savory really intensifies both flavors. If you want to ditch the bread, make your own little cheese stack inside an apple. And if cheese isn’t your thing, try throwing some apple slices into your next stir fry. Trust me, it’s delicious! Photo and recipe by The Grateful Grazer. Fruity desserts don’t need to be loaded with sugar or calories. As a matter of fact, you don’t need much sugar at all to turn fruit into an interesting dessert. 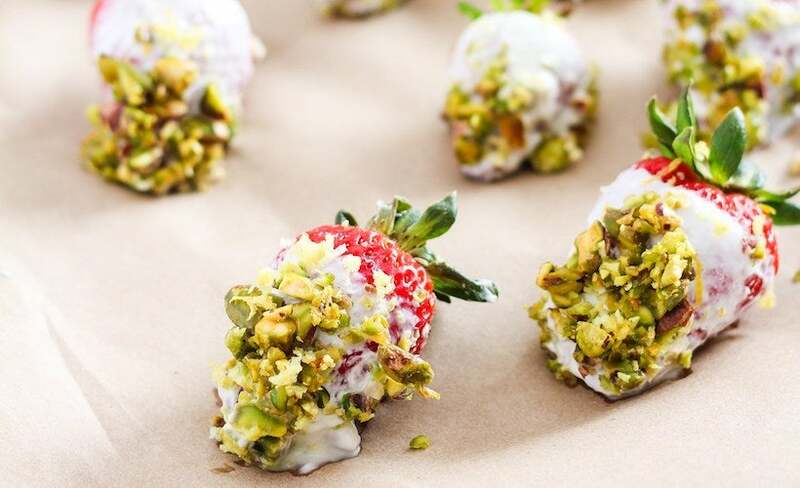 These yogurt- and nut-covered strawberries are not only gorgeous–they taste like dessert, too! With Valentine’s Day coming up, these are perfect to add to your menu.